Friday’s Fresh Five! (7/5/13) | What about this? Small tufts of hair sticking out over his eyes resemble the white bushy eyebrows of an old man. Only a thin isthmus of hair prevents two bald spots on his face from becoming one large one and deep wrinkles that were once hidden by hair are exposed and reveal his age. 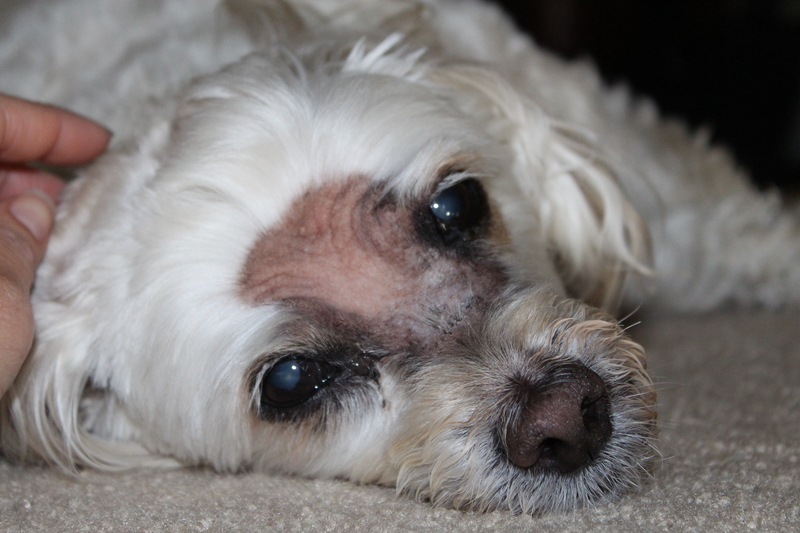 There is no doubt that radiation treatment for a cancerous nasal tumor has made my dog Romeo look older. Yet, despite his post-radiation appearance, my playful and mischievous dog of the past is slowly returning. As I watch him naughtily shred paper, I smile. Before, such an act would have been met with a frown, but now it brings me joy. I got excited when I found an article on Real Simple’s site called 700+ New Uses For Old Things. 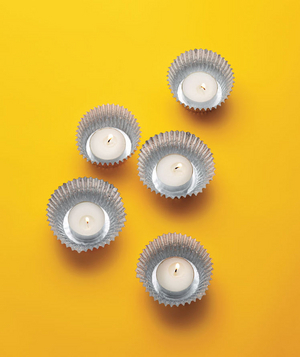 With the aid of photos, the article offers many unconventional ways to use everyday items. You can bet I’ll be taking notes as I check out all of these ideas! 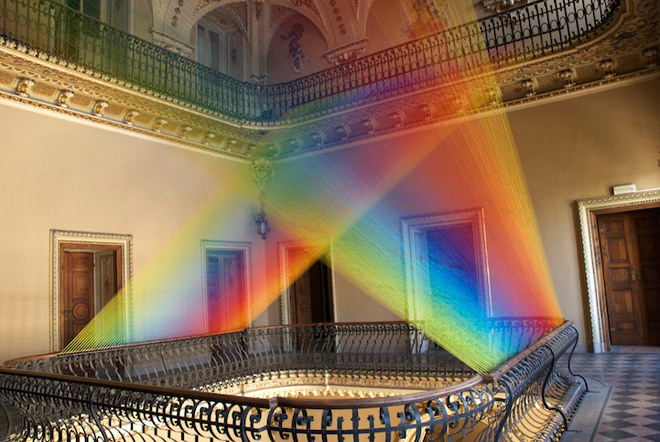 Artist Gabriel Dawe installs rainbows. 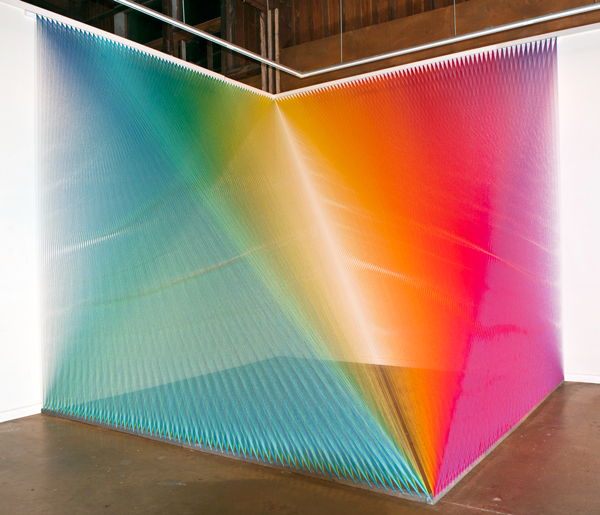 Using colorful thread, Mr. Dawe transforms large areas of space into rainbow-like art installations. Check out more of his work on his Facebook page. If you or your kids are looking for interesting books to read this summer, NPR has you covered with their Summer 2013 Critics’ Lists. You’re bound to find a title that catches your fancy!